Our Highways are becoming more and more congested on a daily basis, with traffic flows reaching near capacity levels. With this in mind it is becoming more important to plan your roadwork’s to minimise delay to the road user, while maximising working windows and safety of the workforce. Because of this our CAD design team are a busy bunch. 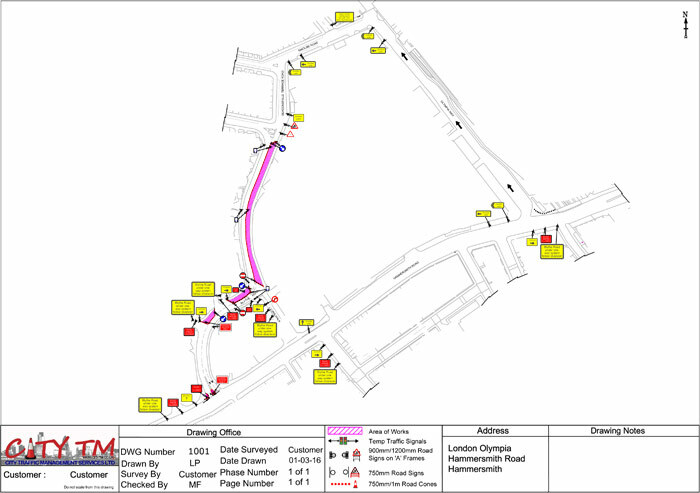 We undertake AutoCAD drawings for several large companies to every level of design from a simple works location drawing, to a full Ordnance Survey tiled drawing complete with road markings, signs, cones, works location, etc. 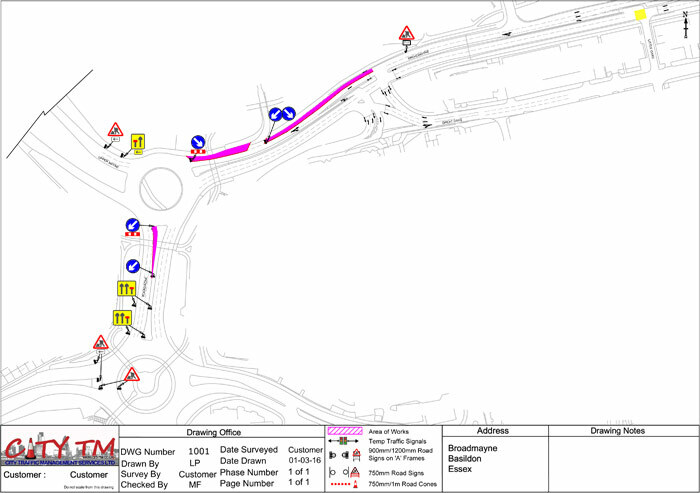 Once you have given us your location of works, we can then undertake site visits (if required) and carry out a full assessment of the traffic impact on your works. 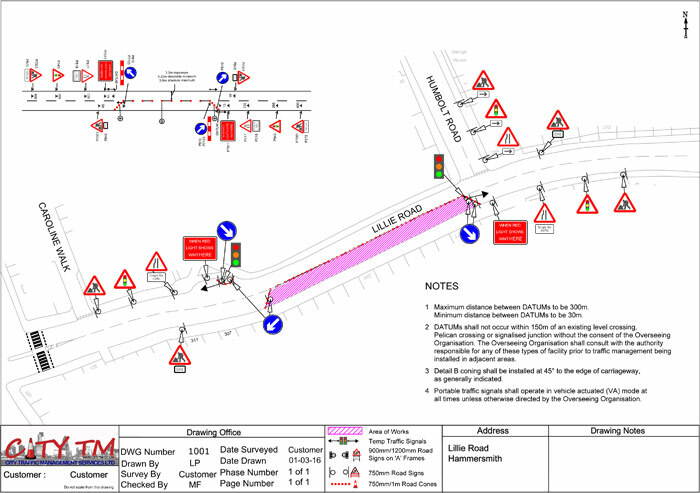 Once we have this detailed information we can then design the best Traffic Management option for your given works area and duration. You can then use this design to assist in helping book your roadspace, and integrate in to your works package to show best practice for all stakeholders has been assessed. If required our consultancy team can also be a part of the design process, and will assist your teams in delivery of the works package to the client. 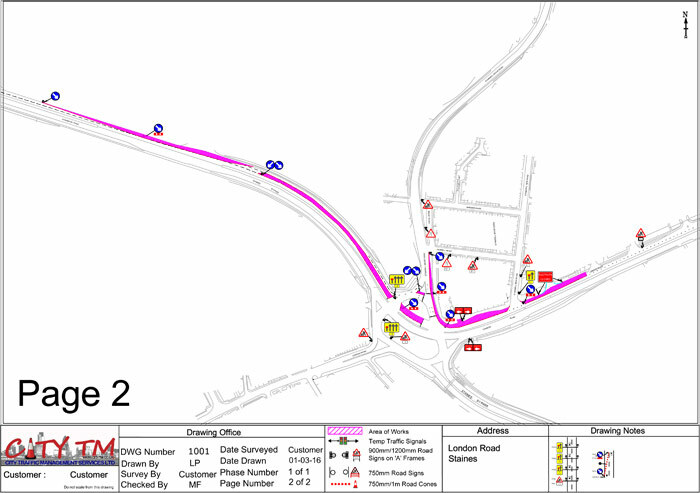 Our design and consultancy team are well known to most London Boroughs, and work particularly closely with Transport for London on a number of their major schemes already. Our TM designs have been widely acclaimed as some of the best worked with over the years, and give a full rounded view of the works for all stakeholders. 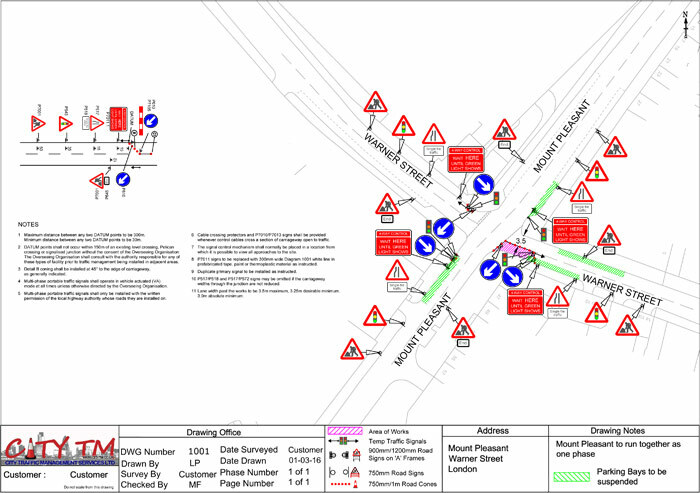 If you wish to speak with our CAD design team then give us a call to discuss your design requirements through with our experienced traffic management design staff.